Fire and ice may have seemed good enough apocalypses for Robert Frost—but his was a simpler time. Or perhaps he possessed a more optimistic imagination than Margaret Atwood, who envisions the end of the civilization as the culmination of widespread environmental degradation, the cutthroat commodification of biology, and the hubristic impulse of humankind to reconstruct the world. Of course, the question Canada Reads asks is: “What is the one novel all Canadians should read?” Complicating factor: The Year of the Flood, unlike most of the other nominees, is part of a trilogy, and it happens to be the second book in said trilogy. So, we must ask: can one read The Year of the Flood without reading its predecessor, Oryx and Crake? Basically, yes; although, if you read one, you’ll probably end up reading the other. It doesn’t especially matter whether you read Oryx and Crake or The Year of the Flood first, as one doesn’t follow the other in plot. Rather, they both tell the end of the world, albeit from different perspectives. Shine a light on a statue, and you get one impression; change the position of the light, and you get a different impression. 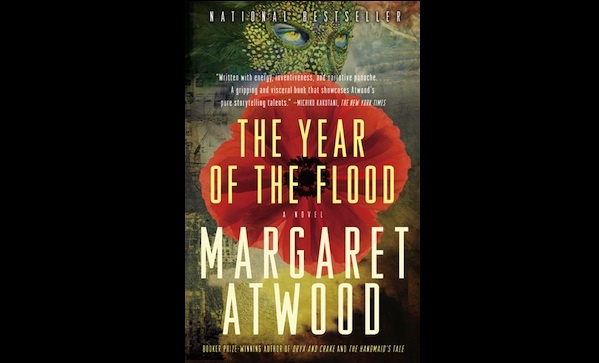 The Year of the Flood follows mankind’s slouch towards the end through two reluctant members of a green spiritualist resistance (Oryx and Crake gives you the corporate, engineered inside story). In doing so, both books join the short list of apocalyptic literature worth reading, largely because the characters we’re following (Toby, a tough but pensive survivor of a woman holed up in a spa, and Ren, a wounded exotic dancer) are complex but ordinary. They have a special vantage point when it comes to watching events unfold, but they aren’t great heroes, idealists, or iconoclasts. They’re surviving, before and after the flood, perhaps not unlike most of us. It’s sort of a shame that everyone in this country already has an opinion of Margaret Atwood without even picking up one of her books; blame opinion columnists and other lowlifes. I say, ignore that noise and pick up The Year of the Flood. Despite the apocalypse, it’s a gentle introduction to Atwood. And if you aren’t one for gentle introductions, you can always pick up Payback—that one’s nonfiction. During last year’s Canada Reads, panellist Charlotte Grey suggested that the eventual winner, Lisa Moore’s February, would be rejected by male readers due to the lack of a strong male protagonist. We disagreed with the assessment then, just as we disagree with the idea now that men will only read a certain kind of book or certain kind of character by default. That’s why, this year, we reviewed all five Canada Reads selections, operating under the assumption that men are more literate than Charlotte Grey is willing to consider. Also check our our reviews of The Orenda, by Joseph Boyden, Annabel, by Kathleen Winter, Half-Blood Blues, by Esti Edugyan, and Cockroach, by Rawi Hage.